Many pediatricians refer to an infant growth percentile chart during regular checkups. This percentile chart gives parents a good idea concerning how their baby's developmental progress compares with other babies nationwide of a similar age. What Is an Infant Growth Percentile Chart? Your baby's milestones are important to you and your doctor for a variety of reasons. As your baby passes from one developmental stage to the next, you're always at the ready with camera and video recorder on hand to document each discovery. You celebrate her first smile, first laugh and first steps. Length - Until your baby can stand, she'll be measured from head to heel while lying down. Weight - Babies are typically undressed before being weighed. Head Circumference - Usually a tape measure is placed around the largest area of the head. The CDC has recommendations about how to use growth charts, and which ones from which organization to use for specific ages and conditions. The CDC recommends that pediatricians use the WHO (World Health Organization) growth charts for children aged 0-2 in the United States. The WHO charts measure typical growth rates for infants who have been breastfed. However, there are growth charts available from the CDC for this period as well. The CDC has a set of growth charts that covers children from age 2 to 19. The methods to create the CDC charts at these ages are similar to how the WHO creates their charts for this age range, so the CDC suggests using its charts to reduce confusion. One set tracks height, weight, and head circumference from the 5th to the 95th percentile. Another set measures from the 3rd to the 97th percentile. There are other types of growth charts for preemies and children with special considerations like Down Syndrome. These children may not develop at the rate as other typically-developing children, so the growth charts have been adjusted for their growth patterns. While specialized growth charts for preemies are available, your pediatrician can use a typical growth chart to track the growth and development of a preemie. 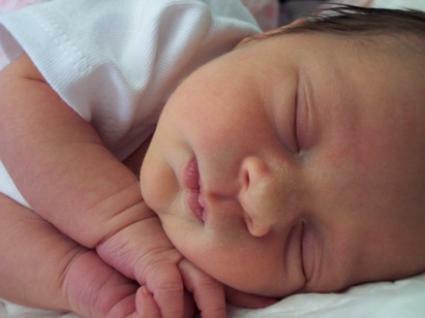 The gestational age of a baby, rather than the actual birthday, is used when detailing the development of a premature infant. Don't worry about your baby being compared to full-term babies. Doctors don't expect the same developmental milestones at the same age. Typically, a baby that has been born six weeks early will be compared to full-term babies that are six weeks younger. Remember, you are with your baby every day, and thus, you may not notice every little change. However, your doctor will want to know each new milestone she has reached, and he'll keep track of those changes on the percentile chart. What happens if your baby's weight or height doesn't fall into the average nationwide percentile of other babies his age? Typically, one measurement that does not fall on the growth curve does not merit significant concern. However, a pattern of abnormal readings may suggest other issues that the pediatrician may want to investigate. Any measurement continues to drop from one trend line to another trend line to another between visits. Each of these changes suggest problems with growth and development and may require more investigation. Many parents worry incessantly about percentages, and for this reason, many doctors don't even refer to babies' percentiles. The main reason some doctors are reluctant to share this information is simple. Your baby is an individual. Each child is different, and just because your baby's weight or height doesn't fall into the average percentile (maybe he is way above or way below) doesn't automatically mean that there is a problem. For the most part, your doctor will let you know if there is some reason to be concerned. Genetics can play a large role in your baby's growth. If your family has a history of large babies, then don't be surprised if your baby's growth is considered off the charts for his age bracket! Remember though, that a percentile measure is just one tool physician's use when assessing your child's health. 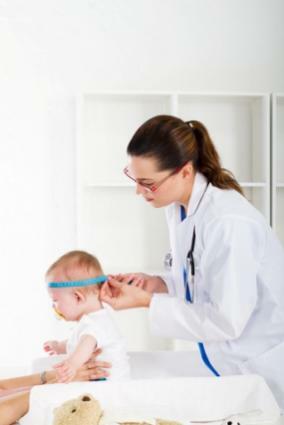 Only your pediatrician can determine whether or not your child's percentile is typical or worthy of concern.